CMSE are delighted to announce the introduction of our new STCW – 95 (Standards of Training, Certification and Watchkeeping) course. 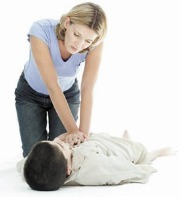 Course Title: Elementary First Aid Course (EFA) STCW – 95. The Elementary First Aid Course (EFA) STCW – 95 is a one day classroom based course and forms part of the mandatory basic training for all personnel assigned designated emergency duties. On completion of this course the student will be able to provide immediate basic medical care at the scene of an accident or other medical emergency until the arrival of a person with first aid skills or the person in charge of medical care aboard. The purpose of this course is to comply with the international Marine requirements for watch-keeping personnel serving as ship officers and crew. CMSE already offer STCW courses and we pride ourselves on our association with such accredited courses. This course is due to commence in early 2012 and we believe it will complement our current Marine and Fire Safety trainingwhich we offer in our specialised Fire Safety Training Centre in Cork.